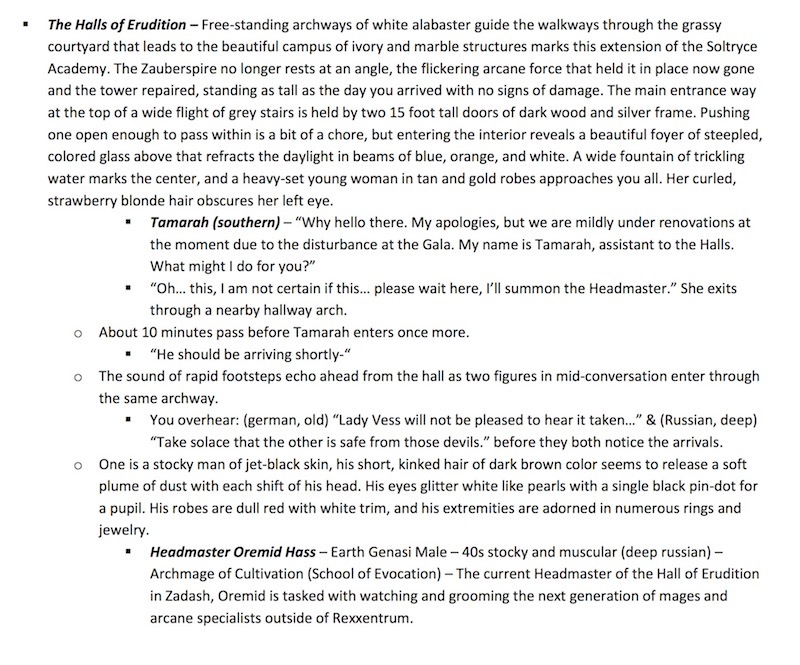 Have you ever wondered what Matt Mercer’s campaign notes look like? Now’s your chance to find out. Check out two batches of (spoiler-free) notes that show a typical session and a bigger hub of the world from Critical Role. D&D is a many-splendored thing. 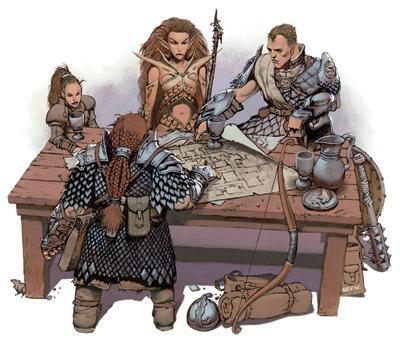 There’s no “right way to run a game” unless it’s something like “make sure everyone has fun.” But there are many different ways to organize your notes for a campaign. Some GMs write out an entire story, others list out potential beats, others still plan encounters. 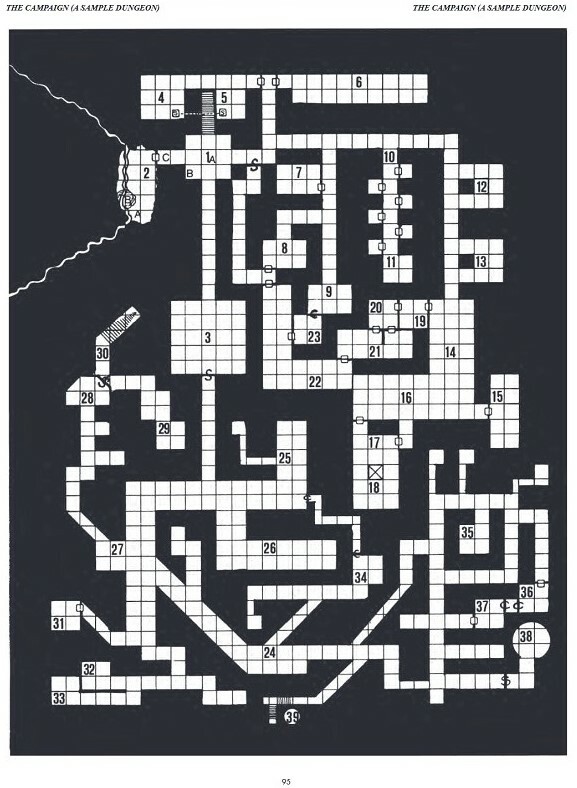 And some poor sods plan nothing and just flip through the monster manual a few minutes before their session and hope their players decide to get up to something interesting. Critical Role is a highly-visible D&D campaign, and because it’s archived on the internet, it serves as a great example for showing folks one way of playing D&D. Because it’s not enough to pass down your notes–you have to see the context they’re used in. How does the DM make use of them, how do they steer the action and so on. Other people have published their campaign notes in the past–but it’s like an appendix of an oral history. Which is why having notes from something you can go back and watch is so helpful. Even if this isn’t the way you run your games, it might lead you to figure out a better process. Every DM invents their own wheel for running a campaign, and we’d love to see what yours are. In the meantime, here are Matt Mercer’s. First up, here’s a look at a fairly straightforward session–Campaign 2, Episode 50. 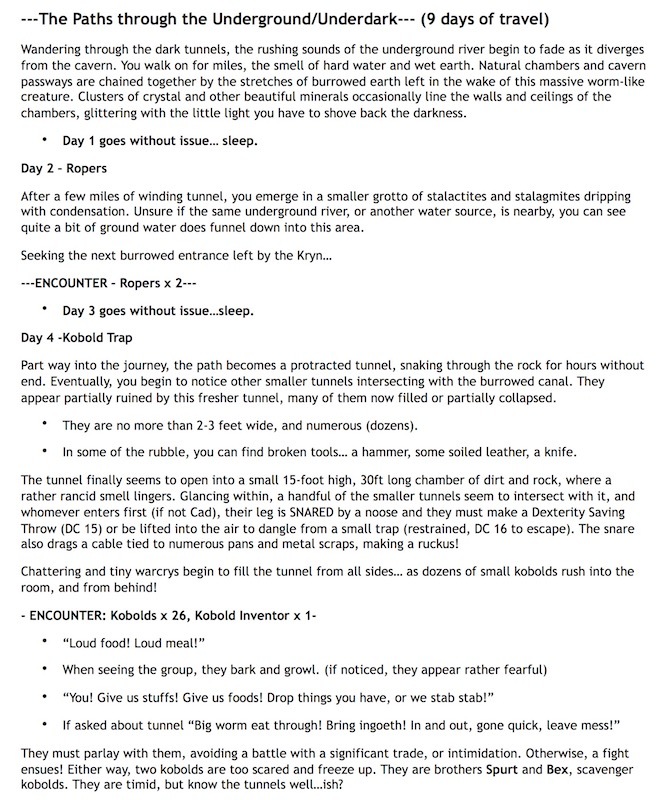 This one was super helpful to me–as a GM I frequently wonder how to handle travelling–and while the rules for random wilderness encounters are helpful, it’s nice to see each of the areas get some description as well as some planned obstacles on the way. You can see how the order of things changes–these notes are guidelines after all. And as you’ll see from the later notes, a lot of times these are the seeds for improvisation. Then we have notes from a more “hub” style session. Notes from Campaign 2, Episode 17. This one is also very telling. I love the sheer amount of description that’s pre-written here. Even when it doesn’t translate exactly, the gist of the description is there. And I feel like if you’re going to have some concrete areas locked in, this is a pretty good tool to keep in your tool chest. And again let me cite the value of having an actual session to go back to with these. You can see how Mercer was preparing for all sorts of eventualities. Including the possibility that the party might turn on one of their contacts–the notorious crime lord. How do you organize your games? Were any of these notes helpful? Let us know–and as always, happy adventuring!